We supply Low Dose Naltrexone on prescription. Contact us for details. 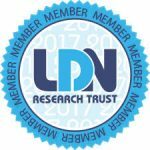 We are members of the LDN research trust. To find out more about the benefits of low dose naltrexone you are required to log into the members section of our website so we do not breach any therapeutic advertising laws.